Travel can be educational, relaxing, and, most of all, fun particularly if you have a few travel tips to follow. Travel can sometimes be confusing, especially if you have never traveled before, never flown, or never traveled overseas. Documentation requirements, obtaining a passport, health and inoculation requirements, and which countries require visitors to obtain a visa can be tricky and generally necessitate some advanced planning. That's where the information at LoveToKnow Travel Tips can be a big help. A valid US passport is an American traveler's best travel document. Most countries require that you have a valid passport to enter their border. To get a US passport, citizens must apply to a US passport agency with a completed application, payment, two passport photos, and proof of citizenship. New passport applications can take between four to six weeks to process. A quicker turnaround is available at an additional fee. Some countries may also require that you obtain a visa to enter their country. You will need to arrange for the visa before you leave on your trip, so be sure to allow enough time for the visa application to be reviewed and for your visa to be entered into your passport. Different currencies and different exchange rates as well as tipping, taxi fares, and restaurant service charges can all be confusing to travelers. Most overseas travelers have, at least once, made a costly error by over tipping or miscalculating a purchase's price. Conversely, it's equally possible to pass up a great bargain by miscalculating the sales price. A very useful travel tip is to remember that it's always a good idea to take a small amount of local currency with you when you travel overseas. That way, you will be sure to have tip money and cab fare when you arrive, even if the banks and exchange counters are closed. 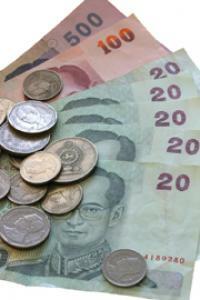 The best currency exchange rates, however, are generally found in the currency's home country. You should reserve large currency exchange transactions for a bank or other exchange outlet. Check the exchange rate carefully, as these vary widely between outlets. When traveling overseas, learning a few words and phrases of the native language goes a long way to forging a bond with the people with whom you interact. Being able to say, "Please" and "Thank you" in the native tongue shows a willingness to try to communicate and, almost always, will yield a positive response. Packing light is advisable for any destination. A good rule is to never pack more than you can carry yourself. Porters, especially overseas, may be difficult to find, and train travel becomes near to impossible when lugging numerous suitcases.